We have had for a few years, a donor recognition wall in a main entrance to our school. 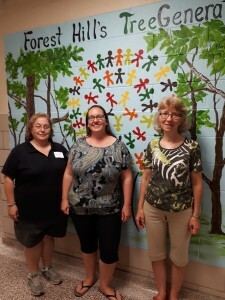 Three names were added last year for the three main volunteers who spend much time and energy working in the school yard or on the fundraising. Laurie Hunter, Melanie Bristow and Andrea Von Weyhe, who’s son graduated but she continues to be the biggest asset to our team, thank you!